CC01 - in memory of my dad. This was my late father's CC01 kit which he drove just for bashing. My brother's and I got our RC genes from our dad. He loved RCs especially nitro boat racing as well as off-roaders. Here's a 23 year kit that I am slowly rebuilding and modifying. I will eventually strip off the paint and repaint the body again. Will also add lights and an all waterproof electronics (BL ESC & motor, 20kg servo and RX) so I can drive this baby on mud and water too. No turning back. Created holes to fit the 90mm shocks. Very nice. I got my RC genes from my father as well. We still hit the trails every weekend we can get out and it's a blast. Build is looking good, will be nice to see the finished product. The wheels/tires combo and aluminum hex hub extender (12mm) arrived today. Also did some re-adjustments in the front shock tower. Drilled new holes for harder setting and filled the dampers with hard silicon oil. I like the screw/nut details. Unfortunately, there are only five studs. Should be six for the Pajero. But who can complain, this wheel/tires set only cost $15. 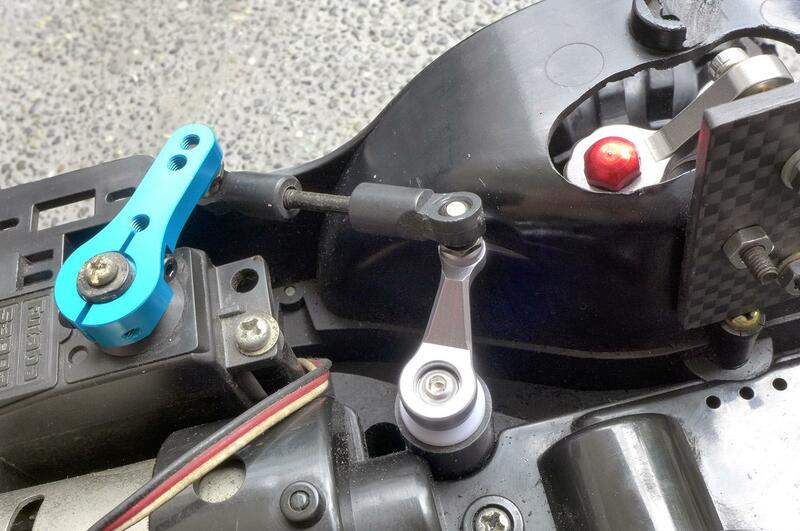 Change the stock plastic wheel hex (6mm) to aluminum (12mm). Just the right offset I want. Not too wide. New holes drilled on the DIY carbon fiber shock tower for stiffer suspension. Upgraded the steering set to GPM. and bearings are almost complete (98%). The only ones mising are the outer bearings (1260) for the front knuckles.